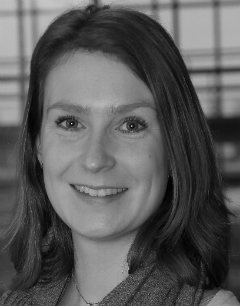 Roos van der Vaart is researcher at the Health, Medical, and Neuropsychology unit at Leiden University. Her research focuses on eHealth in chronic care and she is currently working on the development, implementation and evaluation of online cognitive behavior therapy for patients suffering from chronic pain. This project is part of a cooperation with the Radboud university medical center in Nijmegen and the University of Groningen to develop a complete online personal patient system for integrated diagnostics, referral and treatment for patients with medically unexplained physical symptoms. Besides this research, she coordinates the eHealth research meetings at our department and the Psychology Master elective course "Innovations in eHealth Care", starting February 2015.